Spectacular nuances for Font, a furnishing project characterised by glass doors and side panels; matt or polished glass tops are also available. 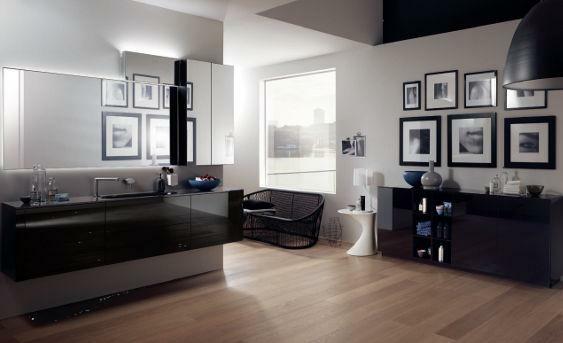 The range includes lacquered open-shelf cabinets. This glossy Slate Black composition gives life to a spirited, extremely elegant and refined bathroom.